How does it compare to a rotating/ oscillating brush? Combining the low cost and simplicity of a manual brush with the guiding features and fresh feel of an electric, quip helps you stick to good habits in your oral care routine and helps to safely and effectively remove plaque and prevent and reduce gingivitis as proven by our American Dental Association Seal of Acceptance. Before comparing quip to other brushes, it’s essential to know what defines a “good toothbrush.” According to most dentists, the American Dental Association, and Consumer Reports (see our blog), the best brush is one you enjoy using, that feels comfortable, and guides a simple preventative routine. This “better brushing” goes back to the basics: brush your whole mouth gently and evenly for 2 minutes (twice daily), replace your brush head every 3 months, and visit your dentist every 6. Sticking to these good habits should have the biggest impact on oral health. Poor technique can be a problem with many electric brushes, with users believing the movements of the bristles do all the work, regardless of technique, which can lead to poor brushing technique and therefore poor dental hygiene. Since brushing too hard is already a big problem, this can also be made worse if incorrectly using a fast-moving bristle head. The multi-mode mechanisms of these electrics can also comes with extra baggage: a larger, clunkier design, bulky charging stand, shorter battery and product life (due to overworked parts and locked-in batteries). And did we mention the high price point? r.
How does it compare to a manual brush? 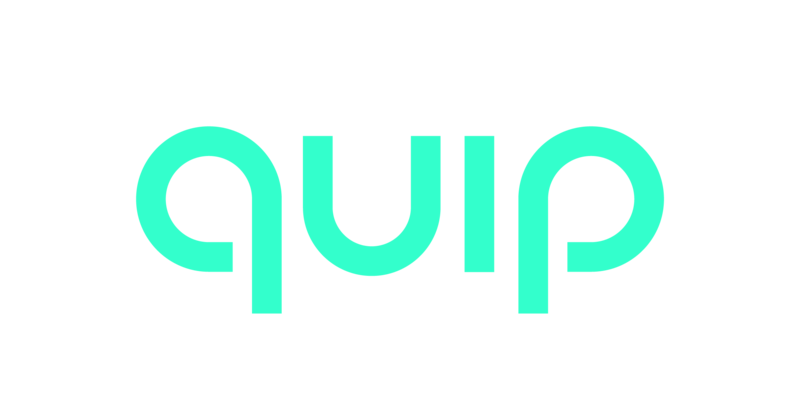 Is quip waterproof? Can I use it in the shower?